Last week I was in sunny hot Phoenix for sales demos with some Phoenix companies. It was my very first time there (as with most of these trips of mine) and the thing I was amazed the most by were those saguaro cacti (catuses?). I’ve only really ever seen them in movies, and suddenly they were everywhere, just like in the old Western movies. What fun! But wait there’s more to this trip then just DERMS and cacti (cactuseses?). There was root beer! 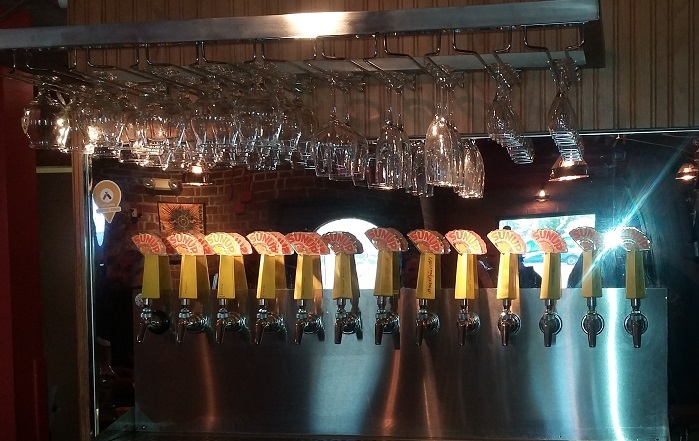 Several places actually showed up on my initial search, but time was limited (as was the patients of my coworkers I imagine), so I could only hit up one. 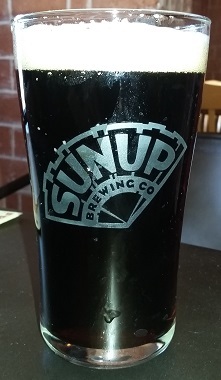 I chose Sunup Brewing Co, the makers of many a brew and mead and Logan’s Root Beer. I don’t know why it’s called Logan’s, I didn’t ask and their website is devoid of any mention. I’ll postulate that Logan is some teetotaler or child who either made or inspired the creation of the brew. Either that or they just love Hugh Jackman movies… Anyhow, the root beer! The Body is sour and fruity on the initial contact. Very fruity. After a bit that gives way to a rather generic creamy root beer flavor lacking in spices. The Bite is smooth and without much complexity. It has a nice Head that is very foamy and tall. The Aftertaste is some nice, smooth vanilla. Ugh, that sour fruity. I can’t get past it. I mean, it’s a decent brew underneath that, but when the whole package is considered, that just ruins it. Sorry guys. We had some spicy artichoke dip and chips there, and it was yummy, but went elsewhere for our dinner so there’s nothing else to say about this place other than it’s got some character. 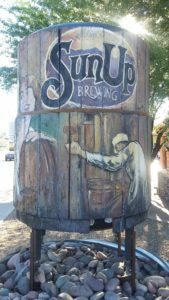 Some awesome barrel in front of their restaurant. The Sunup Brewing Co. taps. 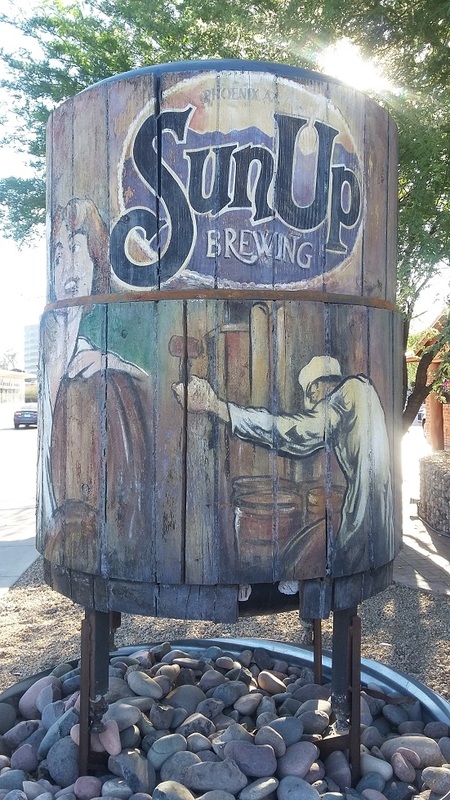 The Sunup Brewery. It’s pretty big. Hard to fit into one photo.